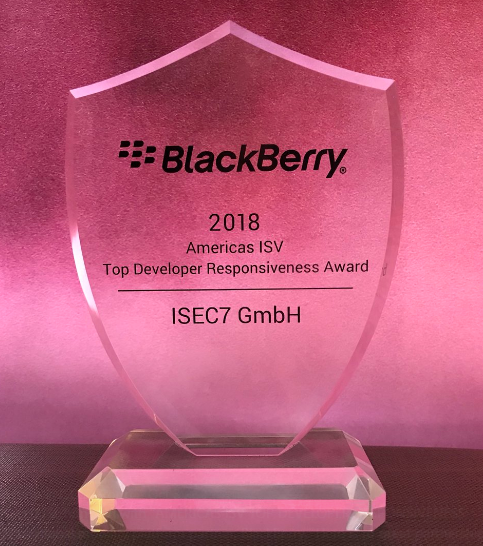 ISEC7, the enterprise mobility expert, has been recognized as a significant contributor to the BlackBerry Enterprise Partner Program, winning the award for Top Developer Responsiveness Award in BlackBerry’s inaugural Enterprise Partner Awards for the Americas in New York. ISEC7 was also nominated for 3 other awards, including categories for: ISV Innovation, Sales Support in Field, and Top Execution. 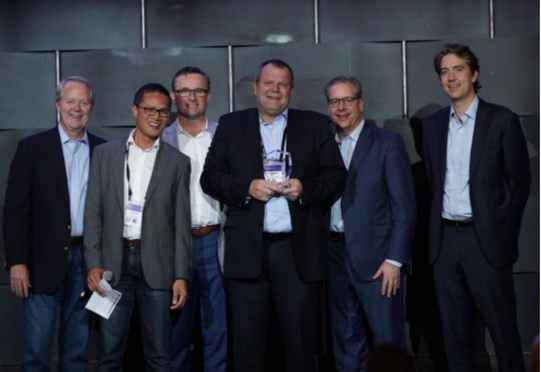 Partners from across North and Latin America gathered in New York City at the BlackBerry Security Summit 2018, and the awards were celebrated at a gala dinner to recognize innovation and leadership within BlackBerry’s global partner and channel ecosystem. “ISEC7’s mobile security specialists have proven they are a cut above when it comes to helping our shared global customers address the challenges they face in today's complex and sophisticated business environments,” said Richard McLeod, Global Vice President, Enterprise Software Channels, BlackBerry. The BlackBerry Enterprise Partner Program is designed to help partners navigate the ever-changing mobile business environment through secure mobile business solutions for their people, processes and data. It helps partners gain new competencies and capabilities that will enable them to meet and exceed market demand, by ensuring partners are well equipped to successfully design, architect, implement and support BlackBerry solutions. Talk to ISEC7's Enterprise Mobility Experts to define your mobile strategy, get market insights or successfully plan your business process mobilization. Contact us!